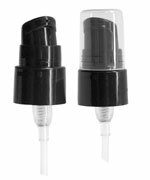 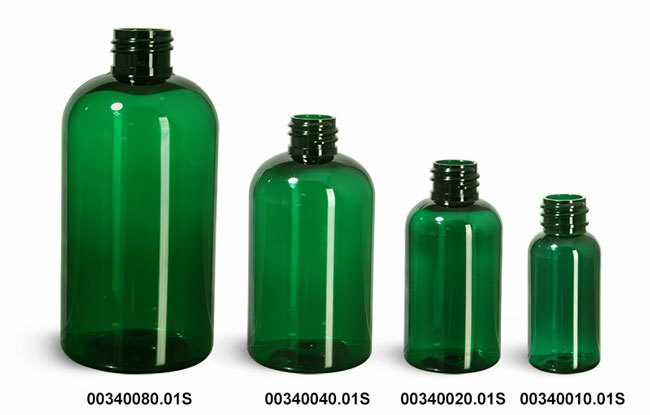 The green PET boston round bottles are offered with 2 different dispensing pumps, a treatment pump with clear top cap, or a lotion pump. 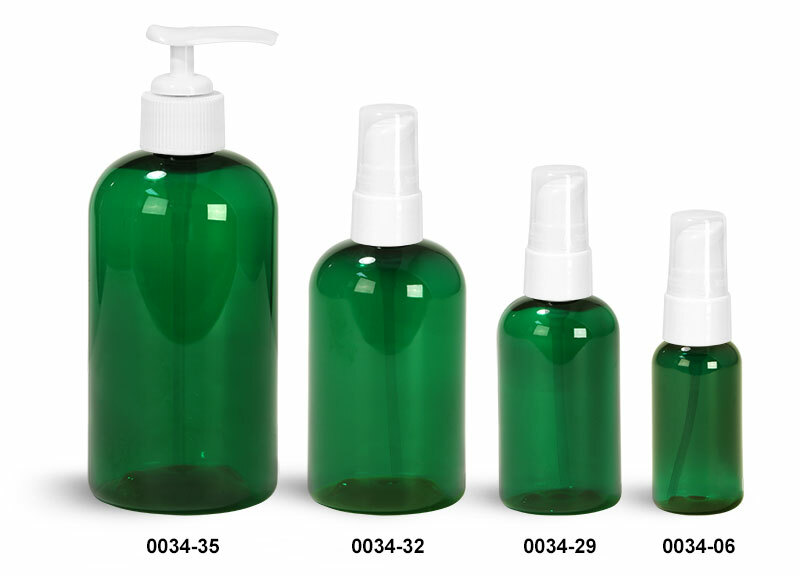 The white treatment pumps are available with 1 oz, 2 oz, and 4 oz, green boston round bottles, dispensing 190 MCL of product per stroke. 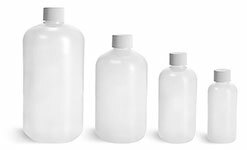 The white lotion pumps used for dispensing larger quantities of product are available on the 8 oz green plastic bottles, dispensing a smooth even amount of 0.5 ml of product per stroke.